The Dry Eye Center of Idaho is dedicated to the treatment of dry eye and ocular surface disease. We understand how disruptive dry eye can be. We combine two decades of experience and state-of-the-art technology to diagnose and successfully manage your dry eye, even if you have not been able to get relief before. The Dry Eye Center of Idaho was founded by Dr. Brian McNeel who originally came from a high volume surgery practice with a very high prevalence of dry eye disease. He has dedicated a large percentage of his time to treating and managing this chronic condition. 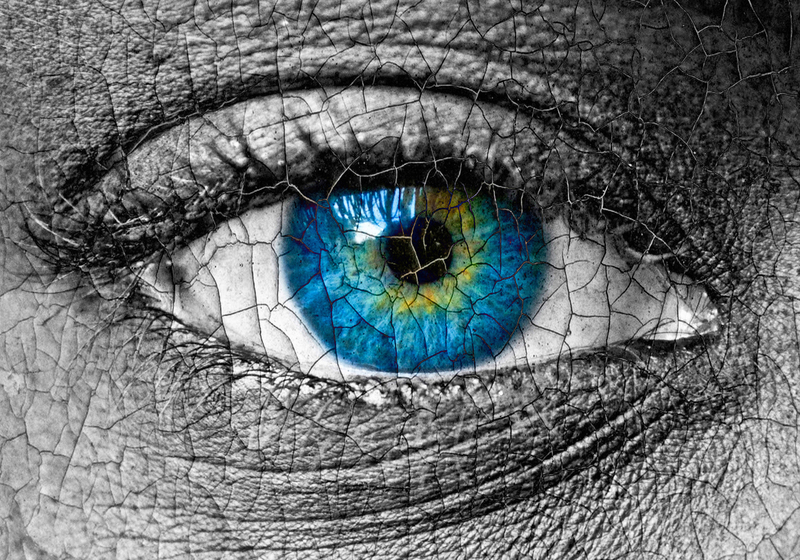 The past decade has seen a significant increase in the prevalence of dry eye disease, but also a myriad of new treatment options. We also have many state of the art instruments that previously were unavailable outside of a university hospital. This instrumentation allows us to more accurately diagnose and treat, and to do so much earlier in the process. Dry Eye Syndrome is a condition that can run the gamut from mild irritation to complete disability. The symptoms of Dry Eye can include any or all of the following. Dry Eye Syndrome is a complex condition that can have multiple causes but tends to share common symptoms. Certain medications including antihistamines, sleep medications, antidepressants, anti-nausea meds, diuretics and Accutane. The number one cause of dry eye is meibomian gland dysfunction. The meibomian glands are small oil producing glands that run radially through down upper and lower lids. They are compressed by the lids with each blink and express a small amount of complex lipid that bonds with underlying tear structure to stabilize it and prevent evaporation. Recent research suggests that meibomian gland dysfunction (MGD) is responsible for or contributes to nearly 90% of all cases of dry eye. Dry eye is usually diagnosed by patient symptoms and complaint. For that reason any quality dry eye work up begins with a thorough medical and eye history including something called a SPEED score evaluation. A comprehensive eye exam is essential both as a baseline for future examination and to assess any impact of dry eye or ocular surface disease. Careful examination of the external eye, focusing on the ocular surface is performed with a bio-microscope. A number of dyes or stains are used with special filters to highlight any surface abnormalities. These include fluorescein, lissamine green and rose bengal stains. Tear Breakup time (TBUT) – the time it takes for the tear film to become unstable is an important indicator of tear quality and dry eye. Breakup time is measured in seconds using fluorescein dye with a slit lamp or without fluorescein using special instruments. Schirmer testing is performed with special strips of filter paper tucked into the lower lids. The length of strip wetting reflects the volume of fluid within the eye and is measured in millimeters over 5 minutes. Newer approaches to diagnosing dry eye include tear osmolarity – how concentrated or dilute the tears are and interferometry, which provides an incredibly detailed analysis of lipid layer integrity and thickness. Because meibomian gland dysfunction is so critical to normal tear function, meibomography is a valuable means of evaluating the meibomian glands structure.﻿ The Tear Sciences LipiScan device allows us to non-invasively image the tear producing glands and assess their viability. Are there things I can do to help? Blink a lot and drink a lot. Avoid eye irritants, use lubricating eye drops if you are taking medication that puts you at risk for dry eye. Over the counter eye drops for dry eye are widely available. Maintain a healthy lifestyle with a focus on good nutrition and high dose Omega 3 fatty acids with low intake of trans-fat containing foods. Avoid waterproof mascara. It contains pine tar that makes it stick to your lashes – and it creates inflammation. Use water-soluble instead, and take it off every night. Never top off mascara bottles, and replace frequently. The 20-20 Rule: During prolonged computer or digital device use, take 20 seconds, every 20 minutes, to look at an object at a distance of at least 20 feet away. This gives your eyes a needed rest and re-establishes a normal blink pattern. High dose Omega-3 Fatty acids are essential. These are found in Salmon, Halibut, Cod, Almonds, Walnuts, Avocados and supplements. Artificial tears – but if you need them more than 4-5 times/day, you’re pretty dry. Xiidra – the newest prescription drug only available through eye care providers. Xiidra works in as little as two weeks and increases tear volume in most patients. Restasis – still in use but has been eclipsed by Xiidra. Restasis generally starts to work in 90-110 days. Serum Tears – your own blood can be drawn to create custom tears. Clearly there are numerous ways to address dry eye issues, and treatment strategies are unique to each individual. When do I need prescription eye drops vs dietary supplement? Dr. McNeel is an expert in treating dry eye syndrome and will diagnose and guide you through the right treatment plan for you. You don’t have to continue to suffer. Book an appointmen today. When do I need actual treatment vs treating with drops and diet? Imaging your glands is critical to developing a treatment plan. If Meibomian glands show atrophy and destruction, then treating with LipiFlow becomes necessary. During your Ocular Surface Disease (OSD) workup, this will be discussed. More than 85% of Dry Eye Syndrome is due to Meibomian Gland Disorder (MGD), where the glands essential for producing the lubricating oils for our eyes are blocked, clogged, dirty, infected, or dying. LipiFlow is the only electronic device to be FDA-approved for treating MGD. The procedure is backed up by significant research and clinical trials demonstrating that it is both safe and effective at treating chronic dry eyes and Meibomian Gland Dysfunction (MGD). Additional treatments for MGD include IPL (intense pulsed light) therapy and probing the glands. We avoid gland probing and do not perform IPL at this time as its mechanism of action remains unproven and potential risks and complications outweigh benefits.